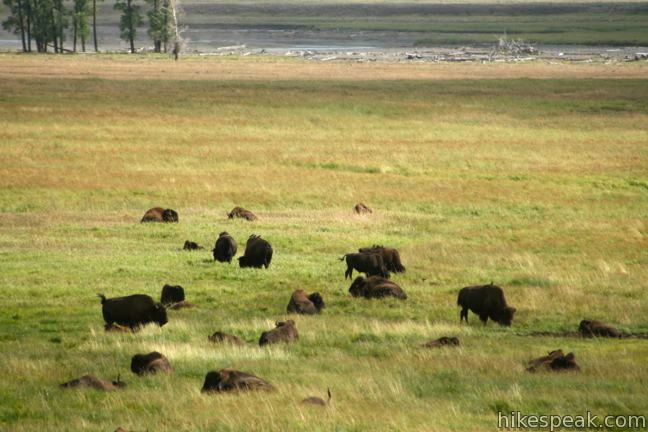 No other destination in Yellowstone gives you a greater opportunity to see wild bison than Lamar Valley. 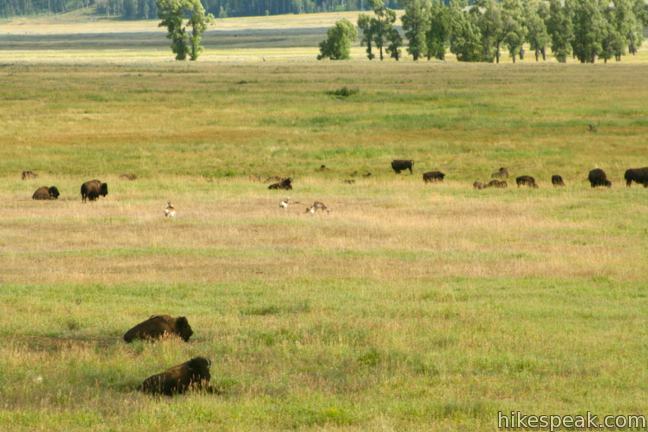 The Lamar River feeds a wide grassy valley, drawing the massive grazers to the northeast corner of Yellowstone National Park. 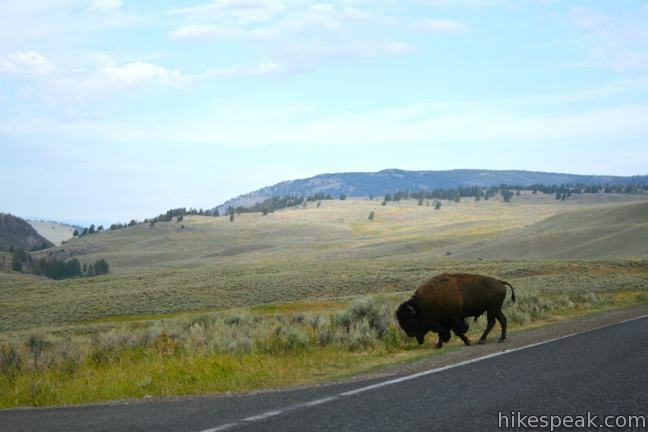 Route 212 (Northeast Entrance Road) runs down the valley past numerous viewpoints where you are almost guaranteed a sighting of the Lamar Valley Bison Herd. Get in the car and go! 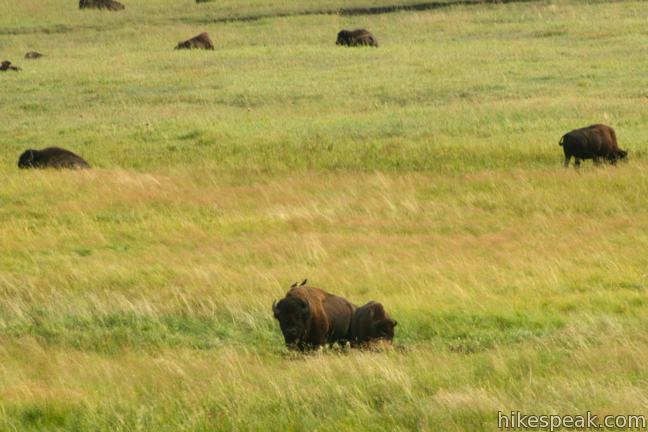 Binoculars may be handy if the bison are grazing away from the road. The bison, which can weight up to a ton, also at times walk straight down the road, stopping traffic. 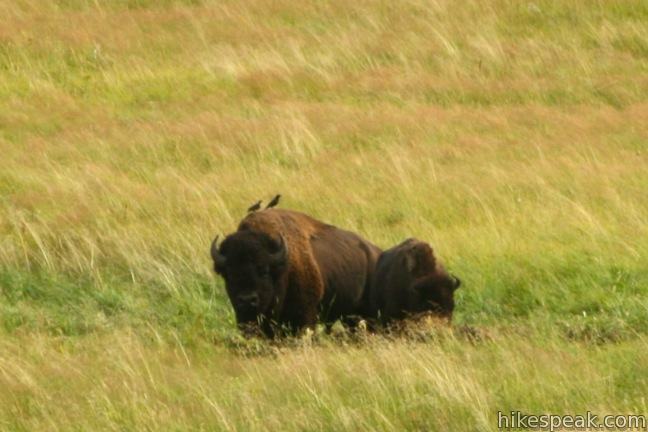 Bison are the biggest land mammals in North America, but they can still run at speeds over 30 mph. Be sure to view the daunting creatures from a safe distance and never approach the calm lethal beasts (trying to pet a bison is a bad idea). Yellowstone is the only place in the lower 48 states where a population of wild bison has persisted since prehistoric times. In addition to bison, Lamar Valley is also renown for its gray wolf population. These crafty creatures are harder to spot than the big bison, but you’ll have a better chance of spotting one around sunrise and sunset. 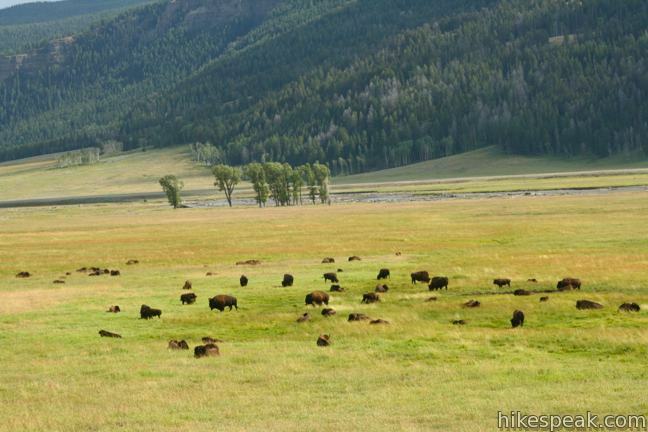 In addition to bison and wolves, you can see elk, pronghorns, and even grizzlies in Lamar Valley. Fishing in the Lamar River is another popular activity in Lamar Valley. A fishing permit is required if you plan to do more than look at the wildlife. 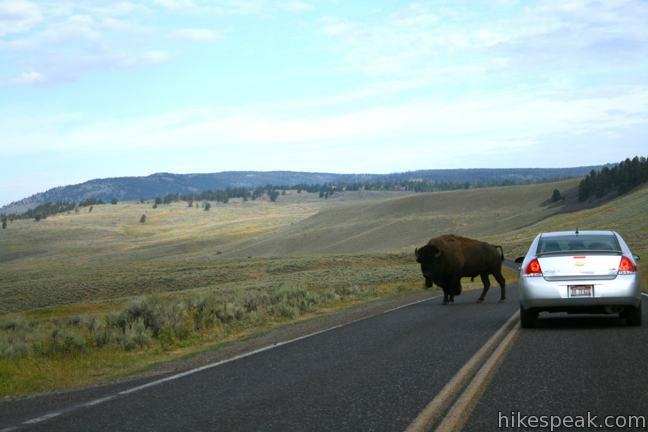 Additionally, Yellowstone National Park has an entrance fee. To get to the Lamar Valley: Starting from the northeast entrance gate for Yellowstone National Park near Cooke City, Montana, drive west on Northeast Entrance Road. You will enter Lamar Valley after approximately 10 miles. The road ends at Tower Junction after 28.25 miles. This 12-mile long trail travels down a beautiful backcountry meadow between Montana and Wyoming, bringing through hikers to a second trailhead (shorter out and back hikes are also possible without a car shuttle). My relatives raised bison in Alberta, Canada for a few years. They had to get out of the business though because the beef lobbyists dominated the industry and wouldn’t allow the lower fat buffalo into the market. Fear of it taking over, I guess? We would bring the meat home and make chili out of it, so delicious, and definitely not as fatty. From Cody Wy to Mammoth Hotsprings North enterence. I would like the drive to include Lamar Valley. Which is the best route, and about how many hours shoud I allow from Cody. Thank you.